Societe Generale and WHub successfully concluded their second FinTech hackathon - ‘FinHACK 2018’ in Hong Kong on 8 July 2018. Over 150 university students, entrepreneurs, developers, designers, business analysts and startups from Hong Kong and other Asian countries registered to participate in the 36-hour challenge. With the objective to nurture the next generation of FinTech talent, FinHACK provides an interactive platform for talent and entrepreneurs to develop creative ideas that address some of the challenges facing the industry, the verticals this year are RegTech, WealthTech and Digital Banking. CreDiscount Go, a team of six students from the University of Hong Kong, won first place this year with their idea to use augmented reality (AR) technology to collect discount information based on the Pokemon Go concept. The solution was created based on the observation of the huge demand and interest in product discount information in Hong Kong. Want to read more about the highlights & recap of FinHACK? Read WHub's Comprehensive Recap! Missed out or can’t wait to do it all over again? Join the Waitlist on www.finhack.io to be first in line! Want to know why you should try joining hackathons? Read "5 Reasons You Should Join a Hackathon" by Karen Farzam, WHub Co-Founder & Chief Hustler. The Hong Kong Monetary Authority (HKMA) published the Open Application Programming Interface (API) Framework for the Hong Kong banking sector. At the same time, the HKMA announced the launch of Open API on its official website on 23 July 2018 to provide convenient access by the public. The formulation of the Open API Framework is one of the seven initiatives announced by the HKMA in September 2017 to prepare Hong Kong to move into a new era of Smart Banking. Open API can help to ensure the competitiveness of the banking sector, encourage more parties to provide innovative and integrated services that improve customer experience, and keep up with worldwide development on the delivery of banking services. Whilst blocked in China for the last nine years, Facebook is trying a different approach to make inroads into the vast market. It has opened a startup incubator in Hangzhou. The subsidiary, Lianshu Science & Technology, has $30 million of registered capital, and it will advise small businesses and make minor investments, according to records. The literal translation of Lianshu is "face" and "book," while Facebook's Hong Kong branch owns all of the company's shares. Facebook told the Post only that it is "interested in setting up an innovation hub in Zhejiang," which would follow similar efforts in France, Brazil, India and Korea. Hangzhou is the capital of Zhejiang province as well as Alibaba headquarters. Singapore co-living enterprise Hmlet has agreed to acquire Hong Kong competitor we r urban, extending its reach to a third Asian city and increasing capacity by 23 percent overnight, according to a statement by the company. The acquisition adds we r urban’s 30 co-living spaces to Hmlet’s portfolio of 18 venues, and marks one of the first significant acquisitions in the fast-growing market segment in Asia. No financial details of the acquisition were disclosed. 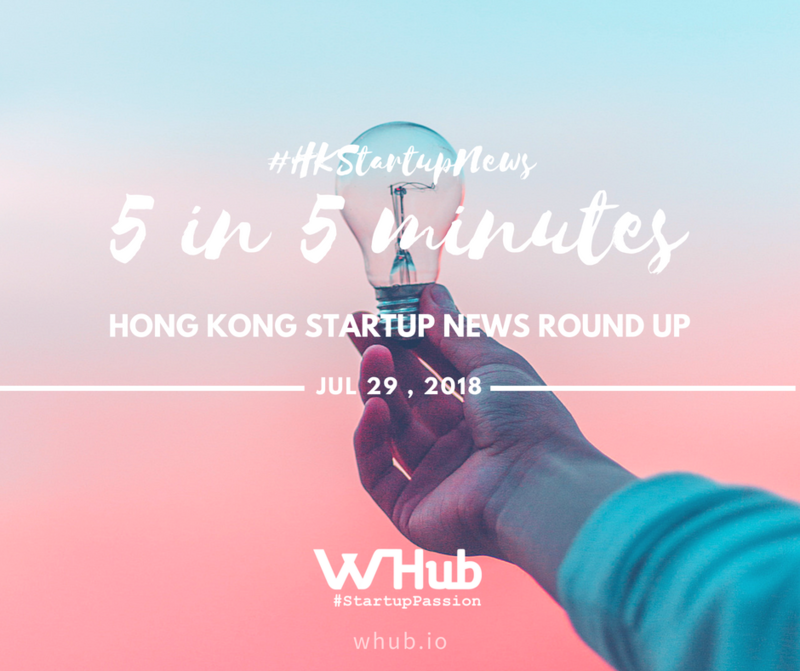 “Hong Kong is a natural next move for Hmlet, and this investment allows us to impact millennials across Hong Kong, allowing them to grow, scale and succeed.” said Yoan Kamalski, CEO and Co-Founder at Hmlet. In a recent survey, respondents rated HK as the third best place to start a company, first being China’s Greater Bay Area, followed by Singapore. The study, Transforming Hong Kong Through Entrepreneurship, was jointly carried out by KPMG China and the Alibaba Hong Kong Entrepreneurs Fund. The report was based on responses from 100 entrepreneurs and over 300 university students, government representatives, academics and other key opinion leaders. When asked key advantages HK can offer to startups, 53% named convenience of doing business, 43% said geographical advantage, and 32% named tax regime and other government incentives. However, only 15% of those surveyed believe the city’s entrepreneurial mindset is a key competitive advantage. While co-working space and incubators in Hong Kong are considered handy sources of support, only 10% of entrepreneurs said they received proper mentoring. This shows that the ecosystem to support entrepreneurs is lopsided, emphasizing hardware and physical infrastructure.